Discussion in 'iPhone and iPad Games' started by carsonvo, Aug 10, 2016. In 2650, Monkey Planet is out of bananas. 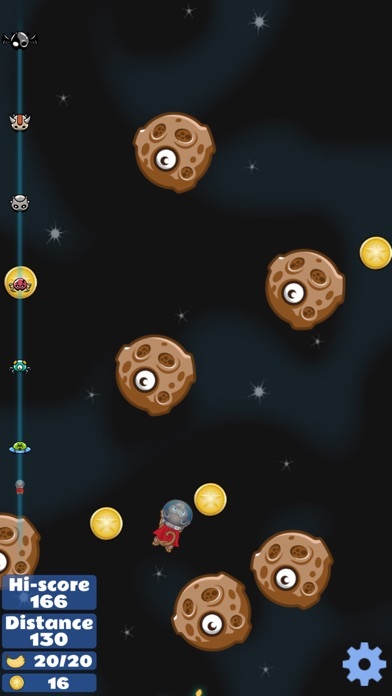 As a super monkey, your mission is to fly through space and find the Banana Planet. Save your world, and become the hero. 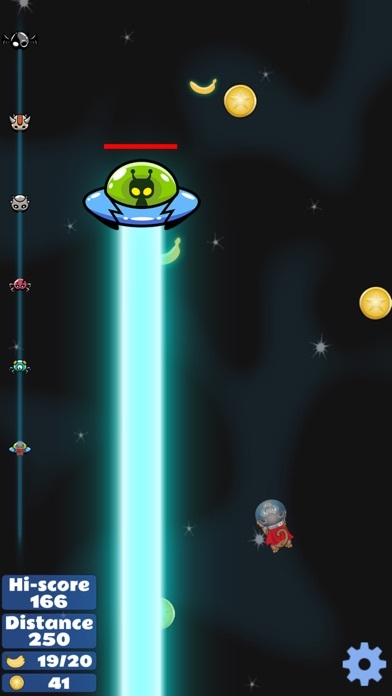 Also be careful of space monsters, do not bump into them! "In 2650, Monkey Planet is out of bananas. 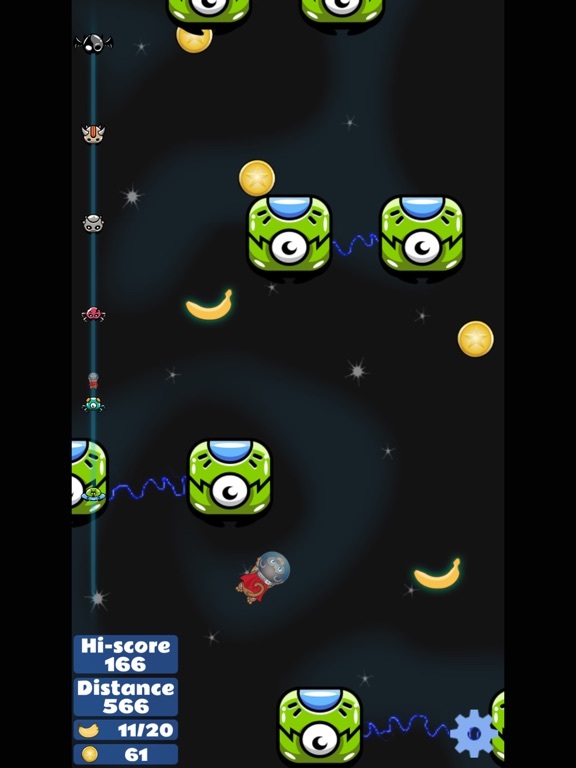 As a super monkey, your mission is to fly through space and find the Banana Planet. Save your world, and become the hero. 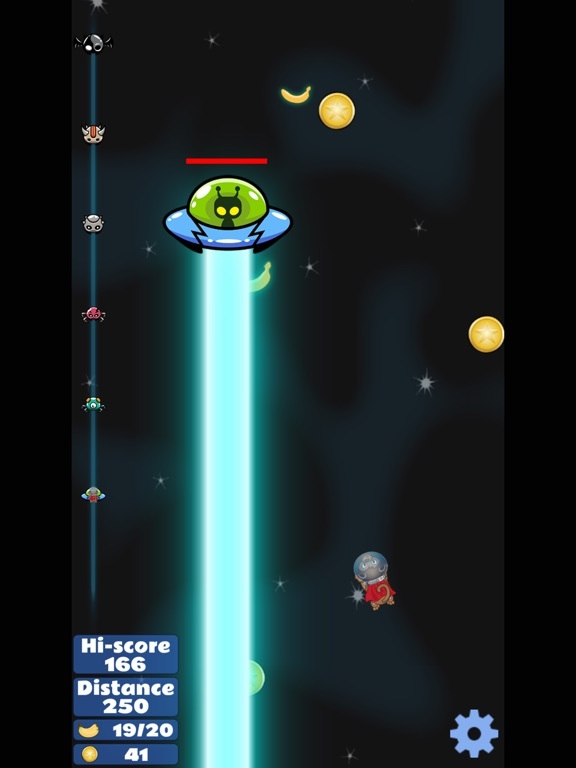 Also be careful of space monsters, do not bump into them! " That is the description of Space Kong. 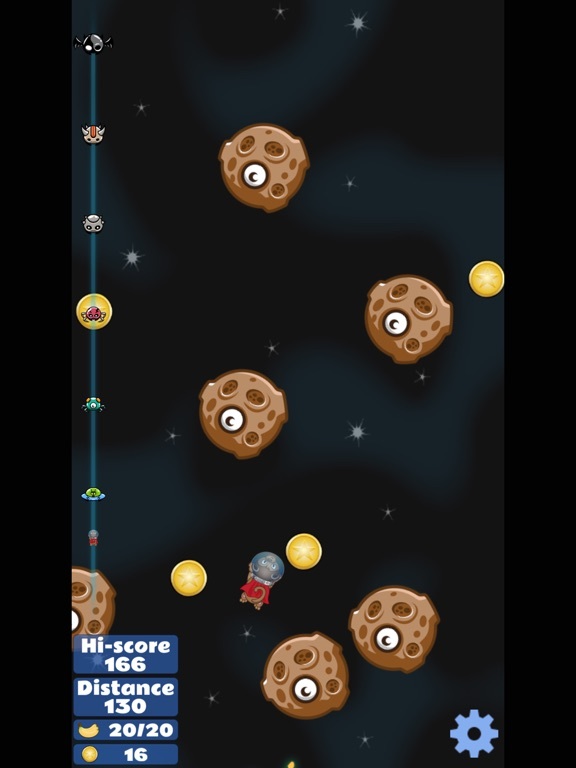 The Gameplay is new, you need to tilt your devices to move your Kong and tap the screen to shoot. It's not easy but addictive. 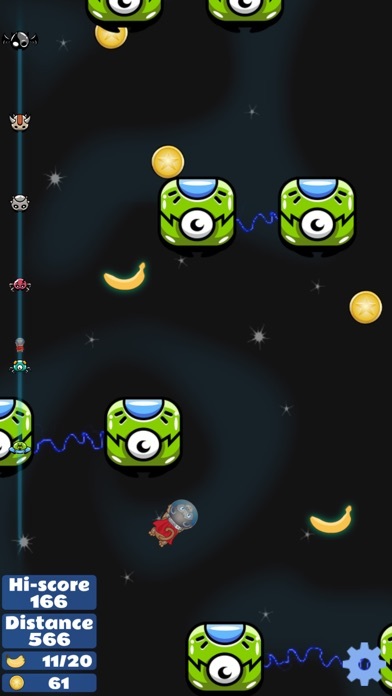 If you want to find the Banana Planet, you need to upgrade your bananas to kill the enemies easier and Bosses.